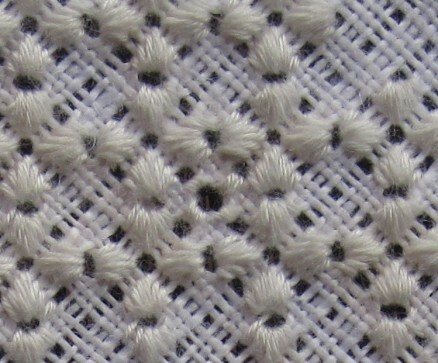 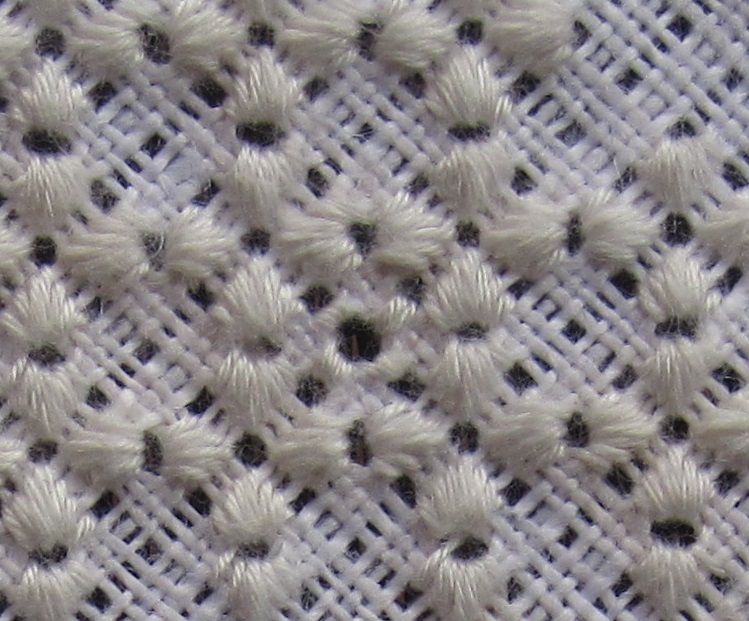 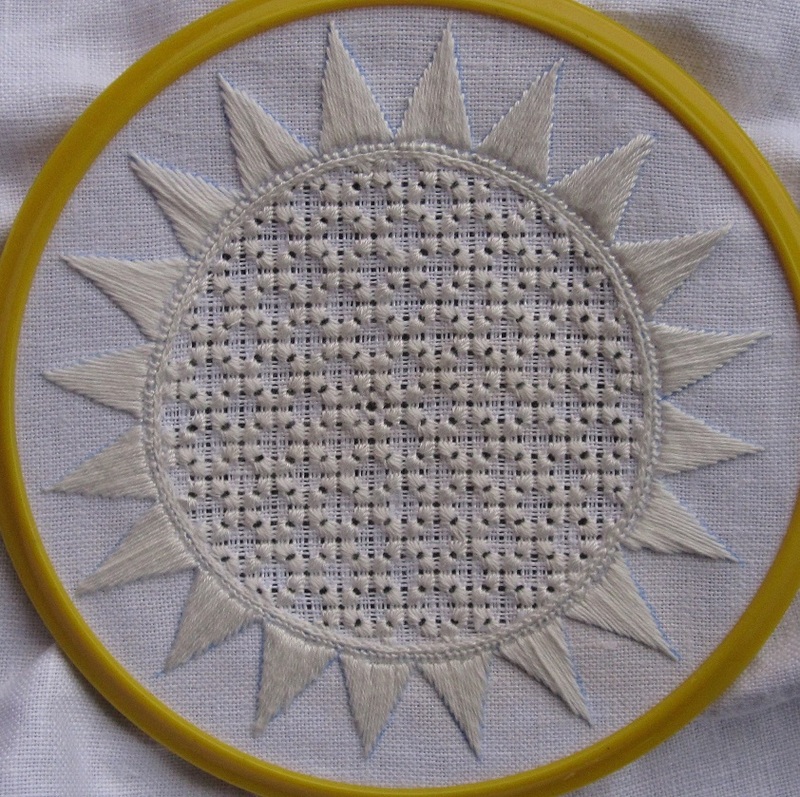 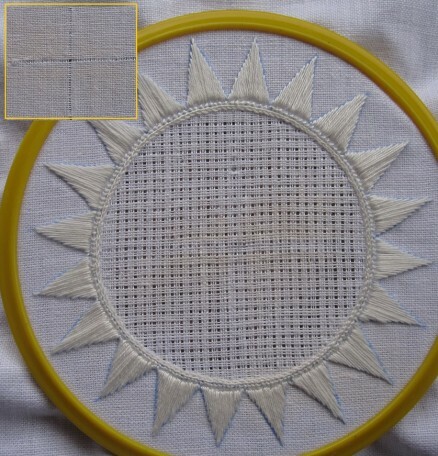 First, in the established Limet grid, work a grid of seven-stitch simple square eyelets arranged in groups of four, called “small ox eye grid” in Limetrosen I, page 15. 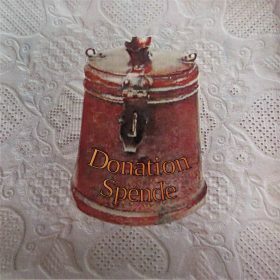 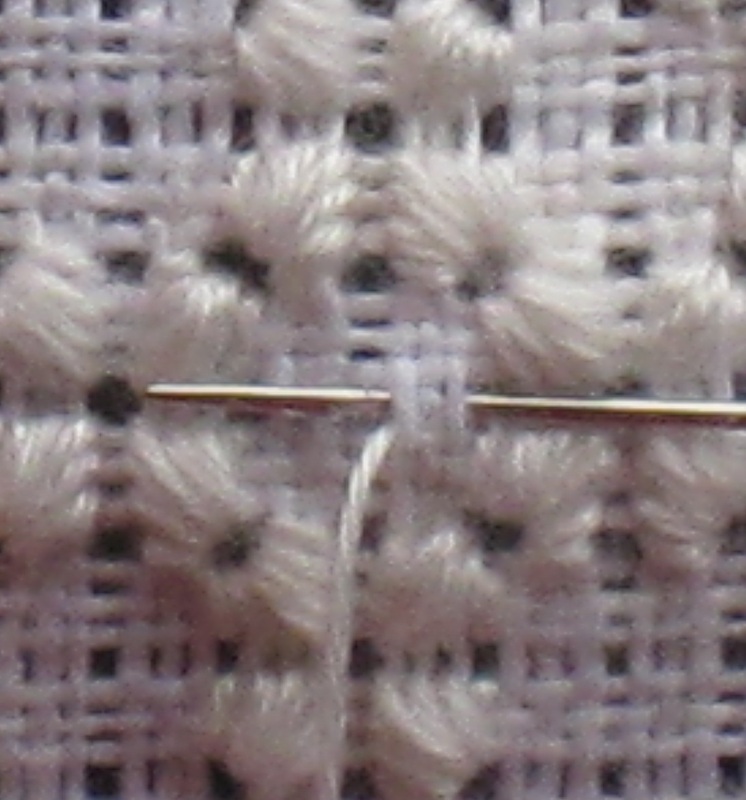 From the center, bring the needle up diagonally to the left, one square down. Work 7 stitches of the simple square eyelet counterclockwise around the starting point. 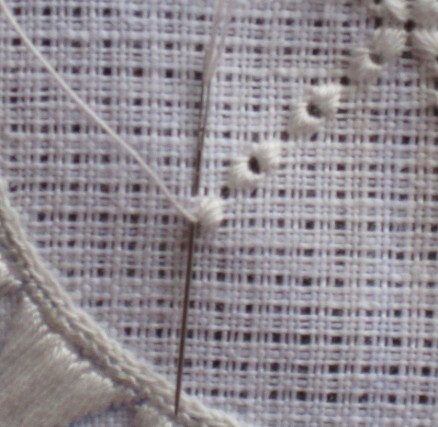 4 times in all. 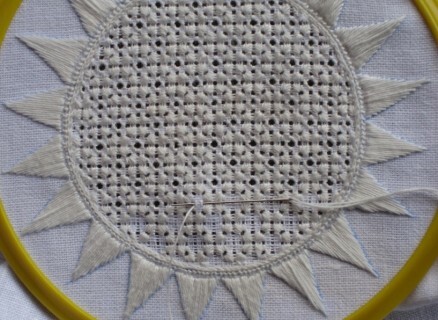 One “small flower” is finished. 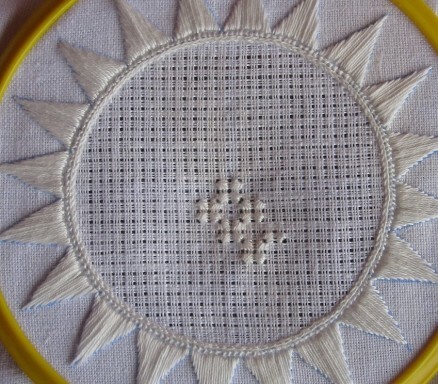 In the remaining squares, 4 X 3 Satin stitches are worked, always reemerging in the center hole of the square and stitching always 3 stitches in the same place, one upon the other. 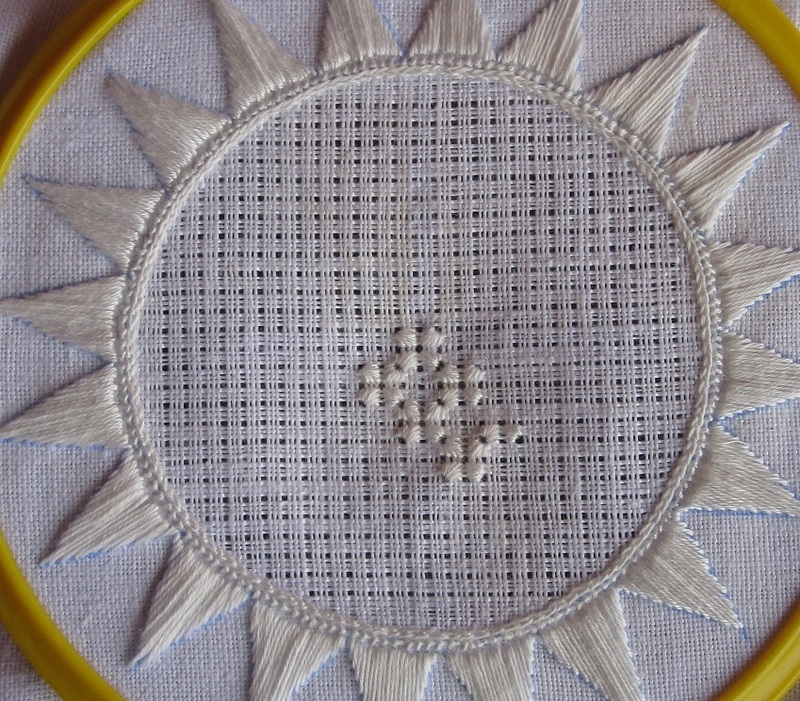 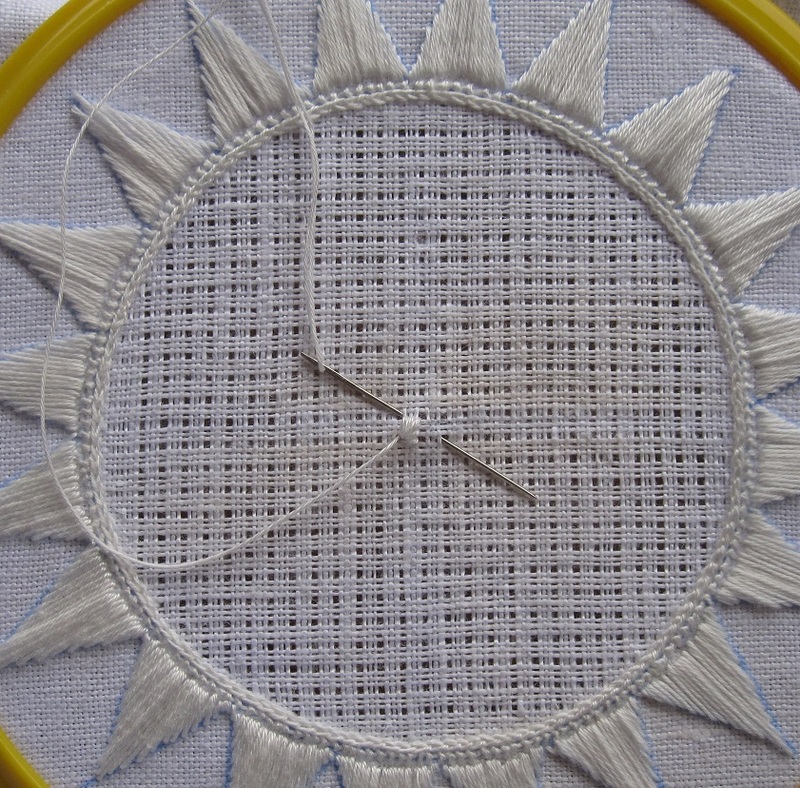 Continue working 3 Satin stitches in all four directions. 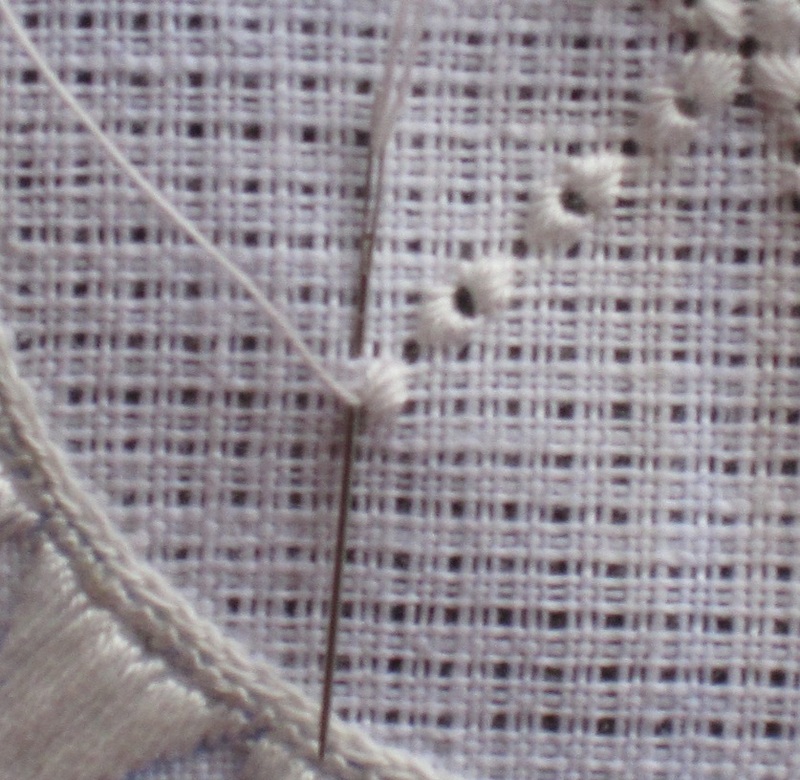 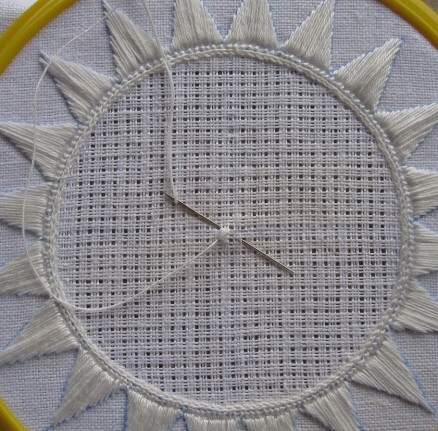 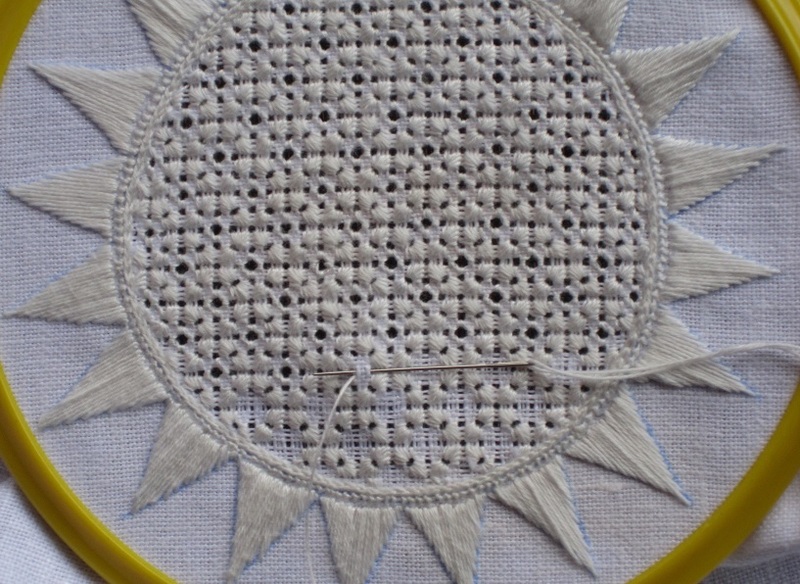 Always tighten the thread so that the center hole of the square becomes nicely open. 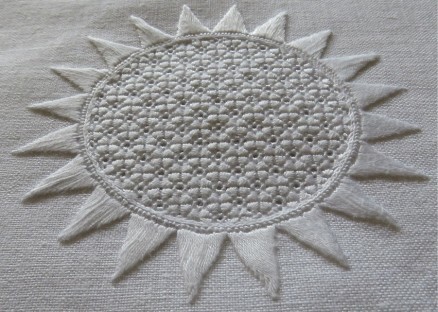 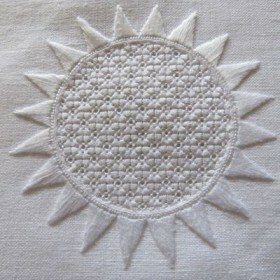 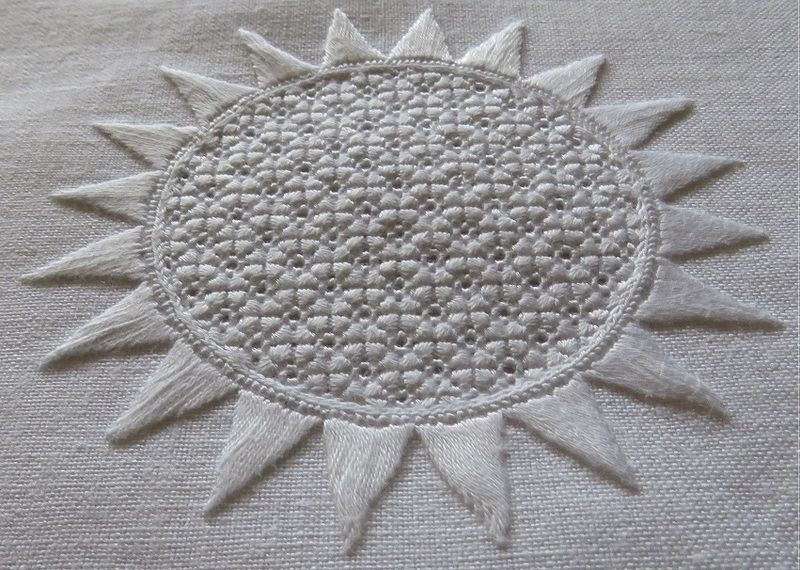 Washed, starched and ironed one more pretty pattern is finished. 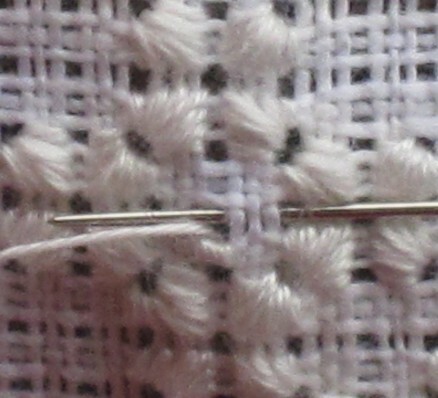 It is a little bit similar to pattern 474, but easier to work.